Thank you. I should have it done in a few weeks. When it'll be posted, however, I don't know. Yet. 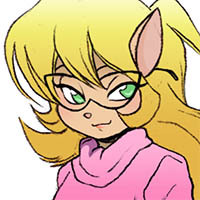 In my fanfic world, the SWAT Kats end up back in the dimension where their evil counterparts and are surprised to learn how Felina Feral is now Dark Kat's second in command since she's tired of her uncle standing in the way and not letting her do whatever she wants. How would that work, a good enforcer gone bad? The good Feline is already a force to be reckoned with. A bad one would be positively terrifying! Perhaps she's been slowly becoming more violent, but regulations and red tape keep getting in her way, so one day she's caught being rough with a suspect and ends up suspended, and a few words from Dark Kat regarding her wish to do what she wants to criminals and a promise that she is the law in Dark Kat City gets her to turn. I thought of something about that. In a story I'm planning to write soon, I'm making an alternate version of Feral that is a ruthless crime boss. What? Feral using the Chin of Power... for evil?! Say it isn't so! I gave this some thought awhile back after watching the episode again. My idea was the Dark Swat Kats wanted revenge on their counterparts bad enough to cross dimensions. Naturally their Dark Kat and Callie would join the pair for their pound of flesh. After the crossing over there would be the classic villains attacking the Dark Swat Kats thinking they are the normal Swat Kats. Cue the meeting of the Dark Kats and the forming of a mega villain alliance. This is when things get good as both Dark Kats are plotting to betray each other. Let's face it, two megalomaniacs of their level couldn't stomach the idea of sharing the spoils. The good Callie would be katnapped and replace with her counterpart. With the Dark Swat Kats causing chaos throughout she could push the Mayor to crackdown on our heroes. As you can guess there would be a epic TurboKat duel above the city, but there could be the chance of a massive free-for-all as tension between the bad guys reaches the breaking point. Dark Kat/Dark Swat Kats vs Swat Kats/Enforcers vs villains. I can picture Feral holding a Swat Kat in a headlock as he trys to tell him they are on the same side. Or the creeplings just sitting on the sidelines enjoying the brawl. I think it would end with evil Callie about to hit the Mayor with his prized golf club to escape. Only to be saved by the good Callie with a right hook and clever remark. You folks are all thinking too small here. One of the best things to come out of writing a story in an alternate setting/dropping ahead a century or so into the future is just how NOT limited you are by the constraints of existing canon. You can literally pick and choose what you like and what you don't. You don't necessarily have to make the world grimdark/crapsack/post apocalyptic, but neither do you have to make it bright, bubbly, and oversimplified. In writing my Starfox Fanfic, I advanced the setting 75 years into the future after Starfox 64/The Lylat Wars, and said that Starfox Assault happened, but Starfox Command DIDN'T. It gave me a chance to expand the Lylat System and explain what the fall of Andross and the rise of the Cornerian military would mean after decades; A setting in which Arwings were seen by those who refused to fall under the banner of Corneria's empire as a symbol of oppression, and there had been a 4 decades long resistance and outright intrastellar civil war before Corneria planted its flag atop the hill of their fallen foes. Then I introduced a new alien threat which turned out to be ancient Lylatians related to the simian species that were 'coming home', and threw it all into chaos again. I made the primary protagonist Fox's granddaughter, I had her brother MIA, Wolf's grandson was her Commanding Officer, and the latest Arwing was capable of completely nullifying gravity and doing a ship to pilot mental link and dropping bombs that created microsingularities. And even though they were struggling to fight a war thrust on them from the new invaders, they still had plenty of moments of happiness, joy, and laughter. One of the best examples of the 'alternate reality' to come out in the last 15 years was from Justice League, where Superman finally got fed up enough to brain fry Lex Luthor, and he and his team in that world ended up leading a relatively bloodless coup to create stability and peace and order. Of course, then they tried doing the same to the reality of the Justice League in the cartoon show. That was where the trouble started. It not only showed what could have been, but also highlighted what the team might do if they had a truly bad day. Come to think of it, the plotline of Injustice was likely derived a little from this possibility. So far the ideas presented here all range from Big Ideas, such as the Dark SWAT Kats show up in the good guys' reality to wreak havoc, or Little Changes, such as Dr. Zyme becoming Dr. Viper and Dr. Elrod Purvis being a normal kat. You've come up with alternate backstories for existing characters, such as Hackle being an evil mad scientist bent on conquest as opposed to his more peaceful version we're familiar with, or Mac and Molly Mange NOT leading a life of crime, but instead being former bodyguards. There are a lot of stories out there who do things like this; They change one little detail, or alter some quality of an existing character's personality that the writer disagreed with so that in a given situation, they react differently and create an alternate outcome and future. These are known as "Fix Fics." There's nothing wrong with these, they can be quite popular, but you know what they say in the world of writing; there are no new ideas, only new combinations. Had a professor in College who loved boiling down movies, stage productions, and everything else into less than 10 stories. That's something that I have to keep track of myself; as much as possible, if such a thing is possible, anything I write these days has to be just a little bit different and beyond what others have tried. I do so hate repeating things, after all. 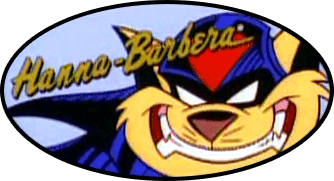 Let's take that idea of the Dark SWAT Kats didn't perish, but were thrown into a different reality when that bomb went off still connected to their Turbokat. Why toss them into the same world as their own SWAT Kats? If the SWAT Kats we know are considered the 'middle of the road', hurl them into the opposite extreme; a Megakat City where the Enforcers collapsed, and the SWAT Kats had to take over protecting the city...without the masks. I would definitely like to see more alternate takes on things. More of the ark Swat kats, and alternate time lines where one villain or another had succeeded in their plans. Or instead of becoming the Swat kats, Chance and Jake had done something different. They were still on the force for instance, or had risen through the ranks to take over command of the Enforcers. or were just normal kats that had never gone into the force to start with.